• To a player running forward away from the server. • Stopping the ball anywhere on the line. • Passing the ball through an open goal. 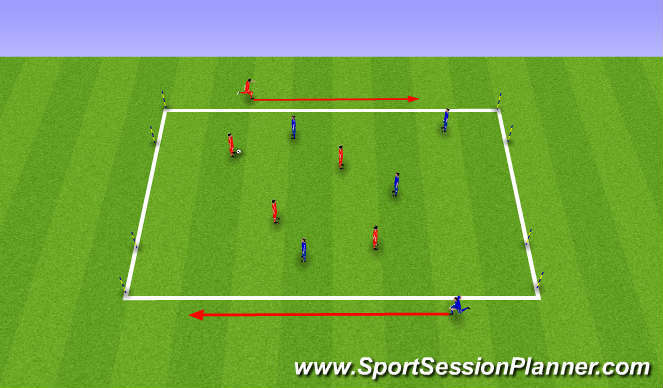 • Changes in direction and speed of play. • Appropriate use of firm touch.